There are situations in terms of large projects when it is necessary to correct the work of one or more third-party components (such as libraries as a part of an application). The source code is rarely available in these cases and we have to use hacker approaches. 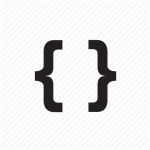 I am going to consider one of the simplest approaches to implementation of a hook on a function call via modifying an import table (IAT) in this article. This method is based on the fact that a call from one PE (Portable Executable) module to another one is a call to an address in a connection table (IAT). The table is filled with actual function addresses by a system loader during the module initialization stage. Thus, address substitution in this table leads to calling our handler instead of the original one until the moment of completion of the process or unloading and reloading the module. In addition to that, it is important that each PE module calling library A functions has its own IAT table, and if we modify it for only one module – B – all the rest (C, D, …) will continue to call the original function. This makes the hook installation method a selective one. Top-level function of the hook installation will return a status (successful / not successful) and the original handler’s address, since the hook procedure needs to call it in most cases. The first stage is definition of a module B load address, and search for an element corresponding to the function named lpszEntry of module A in the IAT table. The second stage is the actual modification of the table data. The method described in one of my previous articles (self-modifying program) is used in this case (Self-modifying programs). The easiest way to determine the module load address is to use PSAPI function. If the entrance to the IAT table is found, we save the original address and set the path there for the hook. I would like to draw your attention to the fact that the number of accepted parameters of the hook procedure and its calling convention have to be exactly the same as in the original procedure. Otherwise it will lead to an inevitable application collapse. All of the above is implemented in a test application that you can download via the link at the bottom of the page. The application intercepts MessageBoxA function calls from the main application module (from EXE), and modifies call flags. As a result a message box appears always with two buttons (OK and Cancel), no matter what flags MessageBoxA is called with.